Our fragile country may soon have to contend with the peril of coalition politics. Our fragile country may soon have to contend with the peril of coalition politics. Will this new era improve state accountability and, thus, capability, or will it spell chaos and radicalism? The spectre of apathy haunts South African democracy. On 8 May, a portion of the citizenry, and probably close to only 70% of all registered voters, will head to the polls. These citizens will not vote for their State President or their provincial premiers. Instead, they will vote for a party to hold seats in the national or provincial legislatures. Perhaps this is one of the causes of the strange public apathy concerning the upcoming elections, despite the political trauma and passion engulfing a nation grappling with power cuts and state capture. Or, possibly, the apathy is a symptom of political exhaustion in a nation where daily life for the middle class downwards has become increasingly stressful and expensive. This apathy is only made stranger by the fact that this was meant to be either the election of ‘Ramaphoria’ and the new dawn of a ‘Thuma Mina’ civic renewal, or the election in which the long-term national dominance of the ANC is finally threatened. 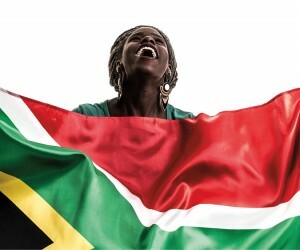 Either possible outcome would mark a new era in South African politics. All analysts agree that a general apathy spells trouble for the ANC, who lose the most votes when citizens stay at home on voting day. The question remains of what this political disinterestedness portends for a post-election South Africa. The scarce polling that is conducted in South Africa (in comparison to the glut of polling, which turned out to be spectacularly erroneous, conducted in 2016 in the United States) has not yet pointed to either a fresh mandate for the ANC without Zuma or a threatened loss of national power for the ruling party. Although neither of these dramatic outcomes can be ruled out, a middle ground does seem to be the most likely result—in which the EFF manages to take 5% of the ANC’s national support, the DA 1 or 2% of a selection of competitors, and the ANC retains power by a much closer margin than in previous years. The Institute of Race Relations (IRR) released their polling in early March, which predicted the ANC would gain 54.7% of the national vote (down, dramatically, from 62% in 2014); the DA would garner between 22-24% (depending on the turnout, but largely staying static from 2014); and the EFF would double their support since 2014 to 12%. And while in Gauteng, the ANC looks set to dip significantly below 50%, the DA is faced with the same threat in the Western Cape. However, in the Western Cape, the DA will likely find common ground with the smaller parties, in the absence of significant EFF support there. It is telling that the ANC has not yet even named a candidate for premier. In Gauteng, though, the legislature may be set to see the EFF, with an approximate support of 18%, as kingmakers, with the ANC and DA currently polling in the mid-40s and mid-30s respectively. Overall, perhaps the key finding of the IRR polling was that the EFF seems more likely to gain ANC voters than the DA—or could this be the South African equivalent of the shy, or silent, ‘Brexiteer’ or Trump supporter, when speaking to polling organisations? Do ANC supporters, or likely non-voters perhaps let off steam to pollsters by promising their support to the EFF? 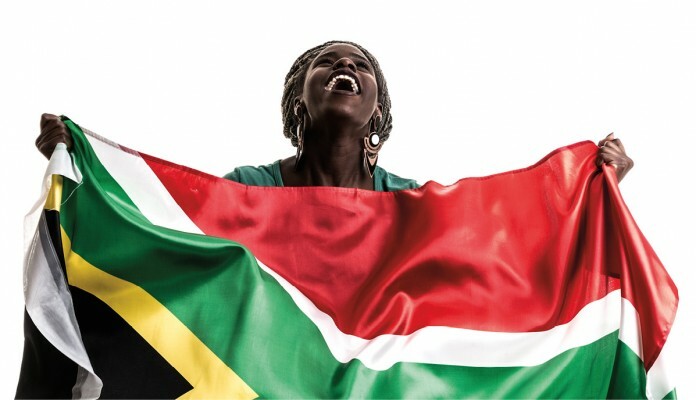 Perhaps to remind us of the importance of remembering the global lesson of 2016—polls are not predictions—the ANC managed to change the narrative, so to speak, when the media recently reported its internal polling without too much questioning, which showed its support increasing to 64% in the national elections and remaining over 50% in Gauteng. Its apparent agreement with a once supposed Ramaphosa resurgence is perhaps making such a prediction believable. 1. How close can the ANC fall towards the all-important 50% threshold nationally? The 4% cushion currently given to them by the IRR, with plenty of time to fall further, should have them panicking. And recent scandals involving the ANC party list including names mentioned in the Zondo State Capture Commission such as Bathabile Dlamini and Malusi Gigaba is not doing them any favours. Gauteng residents have also spoken of a lack of the usually ubiquitous ANC posters on their roads. Is the ANC campaign in as much chaos as Eskom? Speaking of chaos, what happens next if they fall below 50% nationally and in Gauteng—the engine of our economy? Can anybody possibly imagine a DA and EFF coalition? And if the EFF form a coalition with the ANC, how will that further radicalise an ANC apparently still in pursuit of expropriation of land without compensation and radical economic transformation? Would the ANC, in the face of multiple failing state-owned enterprises, really seek to further nationalise entities as per the key planks of the EFF manifesto? 2. Is the narrative of a stalling DA and a surging EFF accurate? The DA increased their share of the national vote by 6% even with the advent of the EFF. But now the general consensus is that they have no more room to grow among the minorities that form the heart of their constituency, and that leader Mmusi Maimane has not proven strong enough to attract significant support from the ANC or the EFF. A doubling of the EFF vote nationally would likely terrify markets and spell increased uncertainty for our nation’s immediate political future. A pause in the DA’s growth could prove devastating to their hopes of being eventual coalition leaders nationally and provincially. However, it still remains possible that the DA does surprise with a showing closer to 25% and that the EFF fails to organise sufficiently in order to ride the wave of anger and discontent among the unemployed. What difference does an election make anyway? There is an old canard among the non-political that elections do not matter, and that parties do not really follow through on their campaign policies. This is not true in a polarised political environment. There are, in fact, stark differences between our three major parties and their manifestos—and an even greater difference between a government securely in the hands of one dominant party, and one put together by a patchwork of parties deeply at odds with one another. The ANC has made no indication that it will cease to pursue its controversial land policies. The DA has flatly stated its opposition, while the EFF wants the state to be benevolent title-holders and guardians of all land. The DA wants to privatise, at least partially, the likes of Eskom and SAA. The ANC has made it clear that no privatisation will occur on their watch. The EFF wants virtually all major economic entities to be state-owned enterprises. Admittedly, the DA has not absolutely broken with BEE, and the EFF’s goals do seem to be an extremely aggressive version of the ANC’s National Democratic Revolution, so, therefore, the differences offered to the South African electorate are perhaps not stark. But the differences between an EFF/ANC (or an ANC/DA) coalition governing South Africa and Gauteng, versus a continued ANC government for either, are massively stark. Perhaps it is because voters sense that either of these options does not currently promise any kind of creditable course-correction for a country drifting towards failure. For that to take place, we need something greater than a mere electoral surprise.